Prevent is one of the four key stands that make up the Government’s counter terrorism strategy, CONTEST. It focuses upon supporting individuals at risk of being radicalised by terrorist and/or extremist groups, before they reach a criminal threshold. A key component of Prevent is the Channel programme. Like child protection, Channel is a multi-agency safeguarding programme run in every local authority in England and Wales. It works to support vulnerable people from being drawn into terrorism and provides a range of support such as; mentoring, counselling, assistance with employment etc. Channel is about early intervention to protect vulnerable people from being drawn into committing terrorist-related activity and addresses all types of extremism. Participation in Channel is voluntary. It is up to an individual, or their parents for children aged 17 and under, to decide whether to take up the support it offers. Channel operates in a non-criminal space. Channel is chaired by the local authority. Meetings are held on a monthly basis. 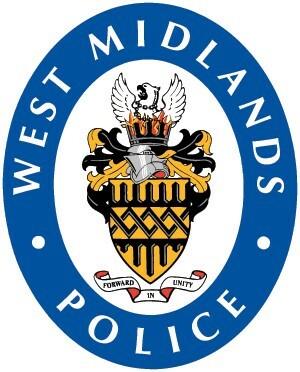 If you have any concerns about someone and would like more advice please contact the Community Safety Team by sending an email to safer@wolverhampton.gov.uk or Telephone on 01902 551214. Alternatively, if you have identified a safeguarding concern in relation to extremist behaviours or vulnerability to extremism the referral form below can be completed and submitted to seek the appropriate support. To learn more about the Prevent agenda across the UK please click here to visit the Home Office’s Prevent page. If you have concerns about an individual’s behaviour and feel he or she may need support or bringing to the attention of the relevant criminal justice services you can use the referral form below. The Counter-Terrorism and Security Act came into force on 1 July 2015. It places a duty on Local Authorities, schools, higher and further education providers, the health sector, prisons, probation providers and Police to have ‘due regard to the need to prevent people from being drawn into terrorism’. The Home Office has published guidance on the Prevent duty which sets out clear expectations for these organisations/sectors to evidence : i) effective leadership, ii) how they work in partnership, iii) how they are developing organisational capabilities, iv) sharing information; v) monitoring and enforcement.